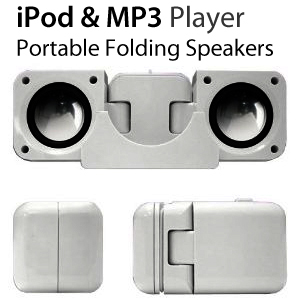 The SoundPod lets you enjoy your music while you are in the office, home, travelling, walking or anywhere you go. 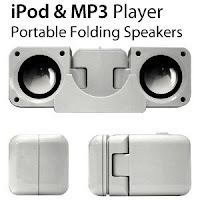 Its fordable compact dimension is unique in design and is compatible with all iPods and MP3 players. I bought these speakers to use with my Samsung MP3 player when on holiday. They are nice and compact and the sound quality is perfectly OK. I saw another make for 49p but I thought I would go for these expensive ones (£2.99! 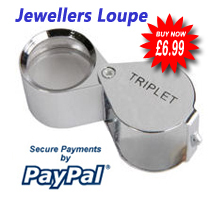 - I notice other people paid a lot less, but come on, less than £8 delivered! you can't buy a lot else for that little. They don't come with a travel case (but don't claim to) and the power lead is a USB type which can obviously be plugged into your pc or you can use a European type power supply which has a USB slot and plug that into a shaver socket - or just use 4 X AAA batteries. The delivery was pretty quick, so all-in-all, a good transaction.